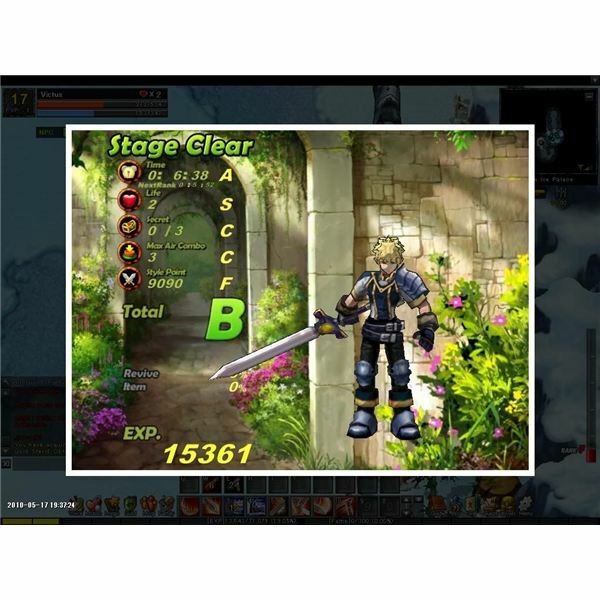 One of the many games available through the ijji Games portal is the action-oriented MMO, Lunia Online. The game sees players picking a character and entering into a game world that plays out very similar to a classic isometric action game from the PSOne era. The game’s primal focus is on combo attacks and counter-moves. It’s a neat system that adds something extra to the stale take-turn combat system found in most MMOs. However, it takes more than an innovative combat system to make an online RPG worth playing. Keep reading to find out how the rest of the features fare in this Lunia Online review. Allm’s arcade-style, action-RPG isn’t anything new to gaming like, say, Robo Smasher or Exteel, but the game does manage to creep in a minor helping of gameplay concepts not seen in most other MMOs. And while I totally applaud the developers for having the gall to brave new territory with a console-style control and skill scheme, the game runs into some fairly obvious flaws because of that choice. For one thing, I should point out that this game is very fast-paced and plays out like a typical arcade game when entering the instanced combat scenarios. However, when strolling through town it’s just another RPG with NPCs littered about; there’s also a variety of mini-games to partake in to balance out the high-hitting combos and frantic boss fights. Nevertheless, unlike Dragonica Online the biggest fault falls into two distinct categories: Character customization and multiplayer. While I’m not going to be too harsh on the character customization simply because of the vast amount of equipment varieties present in the game…it was, however, a little disappointing that players were unable to choose simple things like hair, body type or a face. The issue I have with the multiplayer extends far beyond the general concept of the game and you’ll have to check out the Partying section to see just why I had such a huge issue with the multiplayer component of this MMO. Lunia Online and Dragonica share quite a few similarities. However, the one thing I sincerely enjoyed about Dragonica Online is that it not only offered lots of original playability options, console-style controls and a robust combat system, it also had a very intuitive partying system. 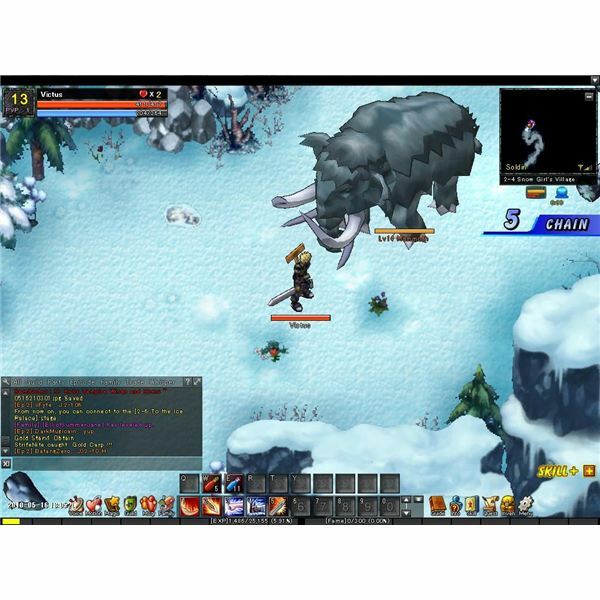 Much like any other open-world MMO, players freely roamed around and could party with each other within the questing areas of Dragonica – free to leave as they pleased. Unfortunately, Lunia Online adopts a somewhat archaic and time-consuming system that sees players having to form parties BEFORE they enter an instance, and all grinding/questing areas are instances. This means that before venturing out of a town players either have to ask around for people to join them or check on the waiting list of potential parties suitable for their level. Now, in theory, this sounds rather functional and robust, but I’m here to tell you that unless you have an hour or two to spare shouting around town for people to join your instance-party, you probably won’t be playing much with other people. If this game were a single-player RPG for the PS2 I’d call the multiplayer component a shoddy but welcomed addition to a mediocre action-based RPG. Given that this is an MMO, I’d have to call it a mediocre action-based RPG that works better as a sub-par single-player game with a nearly broken multiplayer component. I don’t think I have any qualms with the gameplay other than with the mouse pointer being offset to where it’s supposed to be for the option menus. Otherwise the actual gameplay is fantastic. 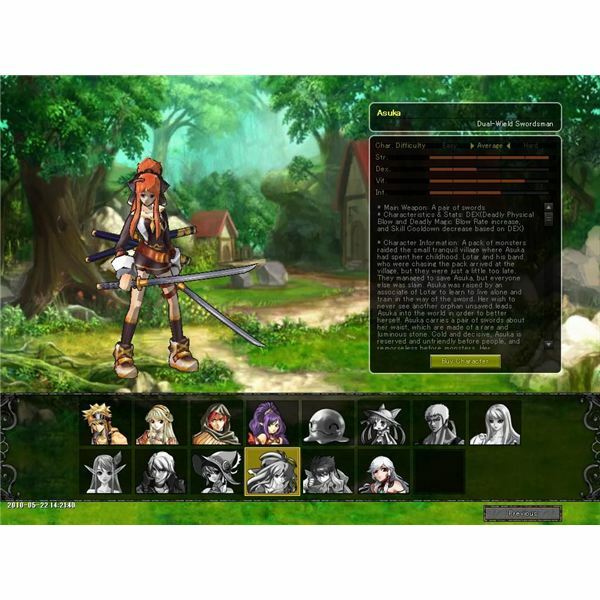 Much like Shining Force on the PS2, Lunia Online utilizes a fast-paced combat system that allows players to string together combos, perform devastating strikes and cast quick magic spells to make fast work of mobs and bosses alike. Combat is obviously the highlight of Lunia, and the game focuses mostly on quick kills and combos. Outside of fighting various monsters, villains and evil doers, the game has a moderate selection of activities to partake in, including fishing, upgrading weapons and armor, playing slot machines and crafting. I suppose for gamers who tire of endlessly beating the mess out of various enemies might enjoy taking a break by completing certain fishing missions, but it’s obviously just a past-time aspect to an otherwise full-on action game. Visually, I’m not too impressed with Lunia Online. I know I draw a lot of comparisons to Dragonica because of the similarities both games share, but I think Lunia comes up a bit short in the visual department. It’s one thing that the characters have limited customization options but the fact that they aren’t the most detailed sort of begs the question why there is such a limitation on the character alteration during the creation process. Still, what graphical standards the game does maintain are decent enough to fall within the ranking of being respectable. The cel-shaded look works nicely, although the sometimes blurry texture work can detract from the overall presentation qualities when the game zooms in on the characters. When it comes to the audio, the game isn’t too much better. This is not to say that the soundtrack or music is bad, although if you’re not entirely fond of Korean/Japanese pop-songs with overdone vocals then you’ll probably be inclined to do what I did, and turn the sound off whenever the singing starts. Still, the in-game music is fine and manages to meet the quality of the standard-fare expectancy from most other RPGs. Allm’s Lunia Online doesn’t really buck the trend of mediocre MMOs by doing something drastically new, however it does manage to infuse a steady heaping of fun factors within its arcade-style combat mechanics. The game’s six episodes and 10 stages per episode setup makes it convenient for gamers looking for a game with plenty to accomplish, especially with repeat missions and new quests that open up as higher levels are gained. Nevertheless, the best advice I could give for gamers looking for an action-oriented MMO is that Lunia Online doesn’t disappoint when it comes to the fighting, magic attacks and combos. However, gamers won’t find a lot of strong party support despite all the players flooding the servers. Still, if you’re looking for a free-to-play online RPG housing the kind of single-player gameplay often times found on game consoles, then you can’t really go wrong with Lunia Online. For everyone else looking for an actual multiplayer game, you’ll probably do better with something like Dragonica Online.